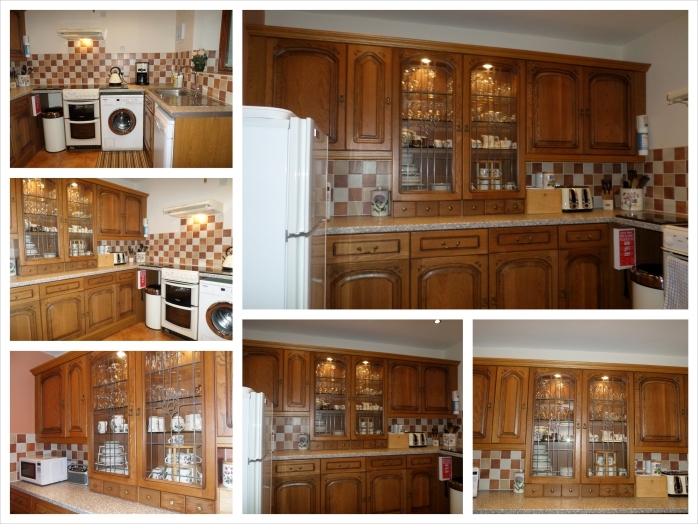 Oak fitted kitchen with an electric oven, grill and hob, a large fridge incorporating a fitted wine rack, freezer, dishwasher, washing machine, microwave, filter coffee maker, toaster and kettle. Welsh Portmeirion china for your use and a comprehensive range of oven, table and glass ware. Quality saucepans and a varied selection of cooking utensils and cutlery in fact everything you need.